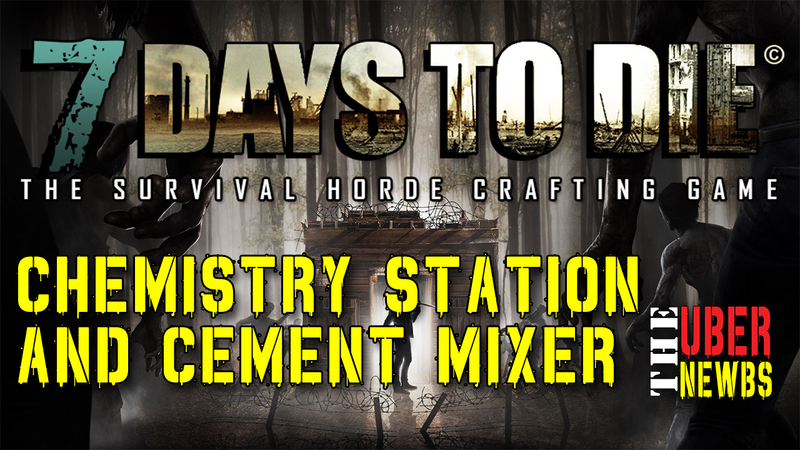 We covered the most elaborate crafting stations already, but these last two crafting stations are no less important! The chemistry station, for instance, allows you to craft medicine using less materials as well as refine oil shale into gasoline. The cement mixer is the only way to make concrete mix allowing you to better fortify your base. Fertilizer can be produced by hand, or at a chemistry station or a cement mixer, but all three methods use different materials! Better yet, the cement mixer and chemistry station don’t require human turds to make fertilizer so you can stop searching for toilets! These two are listed last in our series because they will most likely be the last two crafting stations you would make anyways due to the rarity of the materials needed (plus you need a workbench to make them). The Chemistry station requires 2 beakers and 3 pots in addition to other materials, while the cement mixer requires a small engine. When you do finally come across a small engine, you have to ask yourself…cement mixer or mini bike? Rumor has it that small engines and mechanical parts are easy to come by once you have a wrench and dismantle cars and other machine with it as opposed to just beating it with a sledgehammer…but until that rumor is confirmed you should watch the video below about these last two crafting stations!